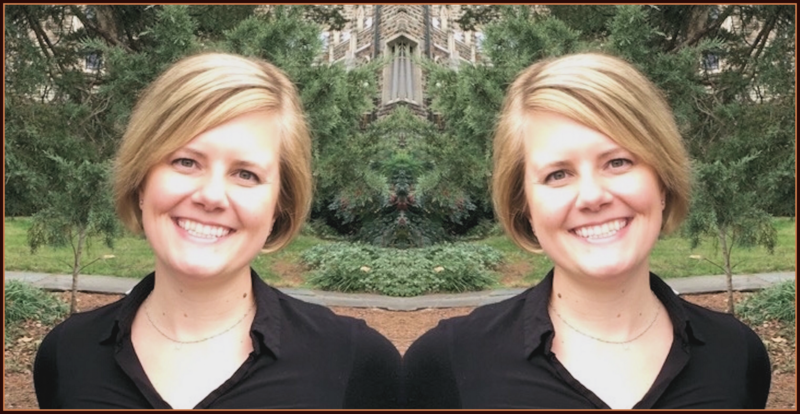 When Bethany Huot asked me if I would be interested in writing a reflection on the academic job market now that I am on the other side, my first instinct was – YES! I am really passionate about transparency and paving the way for the next generation of scientists. However, when I started to try organizing my thoughts, feelings, advice about the job market, I hit a wall. Who am I to give advice? What do I know about the academic job market? Then I reminded myself of Lesson #1 – Everyone’s experience is valuable. So, here I am to share my experience and hope that it will encourage others to do the same. I know there was a hashtag trending on Twitter a while back with the numbers of positions applied to, interviewed for, and offered. This blog post aims to go beyond the numbers and into the process. After this, I got a puppy (seriously), I reassessed, I got feedback from senior faculty at other institutions, and I asked myself what I wanted to do. This soul-searching led to a new and different research plan that I was excited to talk about. I wrote up the new plan and I asked anyone and everyone that was willing to read it and provide feedback. I asked the lab, my advisor, newly hired assistant professors, my friends who do not work in science, my family, etc. I wanted this research statement to communicate my plan to a wide audience and convey a clear message. Here is my first bit of advice: Use your community to get feedback on your research plan! Second, do not get upset if they provide critical feedback; they are working to help you become a better scientist and a better communicator. One resource that was extremely helpful for me is a repository of successful research statements curated by Jeff Ross-Ibarra at UC Davis https://github.com/RILAB/statements. After reading through these statements, I realized that there is no formula – no right or wrong way – to make a research statement. They are as individual as the people applying. The research plan is an obvious component of your academic job application, but there is SO much more. Which leads to the other problem that I encountered on the job market in year 1: I failed to look beyond the research. My first phone interview, first question: “What is your biggest contribution to science?” Uhhhhhhhh. What? I had never thought about my career in that way, so I did not have a great (or particularly concise) answer. Fast forward to year 2, I collected a list of phone interview questions from online sources and colleagues, and I spent time thinking about and writing out concise answers to each of these questions. This exercise prepared me for the aspects beyond research (e.g. teaching, mentoring, grant writing) that are part of the academic career path. Find out who will be on the call. Do your homework and Know your audience. Be prepared for the possibility that the interview will be uncomfortable and awkward. In my experience, these were not conversations; they asked a question and I answered it. Occasionally there were follow-up questions based on my answer, but usually they were asking a standard set of questions to all of the candidates. This can be difficult for a scientist who has little experience in this style of communication. My preferred communication style is conversational, so I had to learn how to communicate effectively for a phone interview. The list of phone interview questions I compiled and wrote out answers to (see above), helped me to practice this type of communication. In addition, I would recommend practicing to answer interview-style questions with a friend or colleague. The most important aspect of the phone interview is to remember that this is also your opportunity to interview your future colleagues. Have questions in mind that you want to ask of them. The question that I found to be most informative was “What is your favorite thing about the university?” The answers to this question gave me a lot of insight into the people and the place that I was interviewing. Do not forget that they want to attract the most talented candidate (YOU!) and that this is a mutual selection process. So, you have survived the phone interview and been invited to an on-campus interview. Congratulations! This is the fun part. You get to see where you might be working and meet your potential colleagues. First, let me tell you that this is exhausting. I was told on one interview that this is really an endurance test to see who can survive a multi-day interview without saying something stupid. I said some stupid things. Advice here is to be yourself, but on your best behavior. The faculty on the other side of the interview are trying to determine if they can or want to work with you for the next 10+ years, so be yourself and get to know them as well. Take the time before your interview to research each of the people you will meet with. This is time consuming, I know, but well worth it. I had a little notebook that I carried around with me. I had one page per person and jotted down notes about that person and their research before the interview, then included notes about what we talked about after the meeting. These notes really helped me to write personalized thank you emails at the end of the interview. Depending on the position you are interviewing for you could meet 30+ people, and keeping track of who said what quickly becomes a blur. My last bit of advice for the on-campus interview is to be prepared to lead conversations. You will find that each person you meet has a different approach to the interview meeting. Some people only want to talk about science, some people only want to talk about the department, some people will lead the conversation, and some people will rely on you to lead the conversation. Be prepared and have readily available questions or conversation topics should it fall on you to keep the conversation going. How much of your presentation should be devoted to future research plans? Is there a separate chalk talk for future plans? What is the audience of your seminar? Once you understand the format – practice, practice, practice. And not just to your lab mates! Again, use your Community. If you are interviewing in a general department, gather a general audience to provide feedback. Ask colleagues at other universities if you can give a practice presentation via Skype. As with the research statement, get as much feedback as you possibly can. I utilized a pyramid as I developed my presentation – first iteration was to the lab, second iteration was to colleagues at a neighboring university, third iteration was individual colleagues via Skype. Then I practiced and practiced, and (importantly) made the presentation color-blind friendly. This took ages, I love to use red and green together, but was worth it. I do not know if there were any color-blind members of the audience, but I felt confident that they could follow my presentation if there were. The chalk talks. Ah the chalk talks. This ambiguous ritual that is a part of some interviews and not of others. Some universities have very clear instructions, other are vague. So, how do you undertake a task without clear instruction? Well, I asked people who have experienced chalk talks, either as a presenter or as an audience member. I got feedback and advice, and most importantly, I practiced! The best advice I can give is to have a clear path that you want to follow. Conversations will diverge from this path, but if you have a clear path then you can pick up where you left off when the conversation lulls. One of the biggest pitfalls in a chalk talk is assuming that everyone in the room went to your formal presentation or read your research statement – they did not. Even if they did, they may not remember. When you start, remind them of who you are and what your research interests are in one or two sentences. The chalk talk is perhaps one of the most difficult aspects of the on-campus interview. It can take on a life of its own and all the preparation in the world cannot help you predict how it will play out. However, it is important to give practice chalk talks and become familiar with the environment. If you are not skilled at drawing or writing on the board, practice this skill. Find out if you have time before the chalk talk to write/draw on the board or if you will be expected to write/draw as the conversation progresses. This exercise serves two purposes for your future colleagues: 1. You are usually outlining the plans for your first grant, so they can assess your scientific reasoning, and 2. Your presentation style and persona are showing them how you will be as a teacher (assuming that is part of the job description). You may require a big/expensive piece of equipment that the university does not have and cannot afford to buy. You may work with a large organism (i.e. maize), and the search committee doesn’t think they have adequate space for your work. Your work may be too closely related to another faculty member, which limits the research and teaching diversity. The committee knew who they wanted to hire (i.e. not you), but were required to interview a specific number of people to fill their HR quotas. The other key to managing expectations is to realize that you may never get an official rejection from some jobs. I found myself being relieved when I received a rejection, because at least then I knew that place was no longer an option. The worst was not hearing from places where you interviewed. All this to say, pace yourself. In my second year on the market, the time from first application to final decision was around 10 months. It is very easy to get discouraged during this process, and it can often feel like an insurmountable challenge. One way I battled this challenge was by defining my limits. What I mean here, is that when I decided to go on the job market for a second year I had a clear vision of what I needed to improve (provided from feedback of senior faculty members). In the second year, I believe that I was at the peak of my hire-ability and I gave the best that I could – the best research plan, the best application, the best interviews. However, I think it is important to be reminded that the academic job market is not all there is to the science world. After submitting my applications in the second year, I asked myself what I liked about an academic career path and then began to explore other careers that also fulfill those passions. In addition, take time to do things you enjoy outside of academia. The year you are on the job market will not be a very productive laboratory year, at least it was not for me. I struggled to plan experiments and still maintain the flexibility to interview on a week’s notice. Take this time at the end of your postdoc to relax a little and be proud of your accomplishments. Of course, this is much easier said than done, and I wish I had done a better job of relaxing. The importance of community in this whole process cannot be stressed enough. I had several communities that helped me through the academic job market. First, I had a peer group that was on the job market at the same time as me. We shared job ads and advice, and provided the kind of support that only comes from those in the same situation. You might ask how we supported each other if we were also competing with each other for positions. Here I will point out that we should not be competing. My peer group worked on vastly different projects than I do, so not really a competition. If your peer doesn’t apply for a job, does it mean that you will get that job? Not necessarily. I believe that the success of one person is good for the whole community, and I am excited for my peers who got jobs even when I did not. The second community that I relied on was composed of junior faculty who had been on the job market in the past few years and could provide feedback and advice at each stage of the process. Often, these faculty had recently been on the opposite side of the search committee and so could provide valuable feedback about my application and the interview process. Lastly, there was the broader community of faculty members I had met throughout my postdoc. Some of these became collaborators who allowed me to generate preliminary data for my new research direction, some of them provided feedback after my first year on the job market, and some wrote me letters of recommendation. Each of these communities served a purpose and contributed to my success, but the one thing they all have in common is that they were equal or senior to me. I think this is one stage of your career where it is incredibly important to have the support of senior colleagues. What the heck is “fit” anyways? I will end this post with a discussion of the illusive “fit” criteria. On the job market, I heard again and again – “it is all about fit.” So, what does “fit” mean? Unfortunately, “fit” is as hard to put into words as you might expect, and it is something that you know when you find it. For me, “fit” was the place where the interview was easy, the conversations flowed readily, and I was instantly comfortable with my future colleagues. For me, “fit” was interviewing at a place that was supportive and uplifting during my interview, which showed me the essence of the department. For me, “fit” was getting mentored on how to approach grant funding during the interview one-on-one meetings. Looking back, I realize that “fit” is the place where your expectations meet the department’s expectations. To everyone out there on the academic job market – I wish you the best and hope that this reflection will provide some encouragement as you navigate this upcoming year. Temperature, aspirin & bio-chemical warfare in the battle for global food security → ← Do it anyway! And of course, congratulations on the position! In short, while doing research is an important component of our development as scientists, to be competitive on the job market, there are many other skills we need to develop as well, as Erin mentioned in her post. So, my question to you would be, how are you viewing your postdoc position? As a step towards your career, or the last training step in your career? If the latter, I encourage you to see it as intended by the funding agencies: a temporary position meant to help you fill the last gaps in your CV needed to land your dream job. The best approach to achieve this is to start your postdoc with the job market in mind. Create and use an Individual Development Plan with your mentor, and set goals throughout the duration of your postdoc that include time for research, Diverse Skill development and job applications. Finally, to read more tips from another postdoc on the job market, check out the post “An Inside Scoop on Interviewing to be an Assistant Professor” (http://thecomonline.net/an-inside-scoop-on-interviewing-to-be-an-assistant-professor/) by Joe Aung. Great to hear from you! To answer your question – You are exactly right, I spent a lot of time on job hunting related tasks my last year and I found it challenging to balance the research and the job hunt. There are several things I did to help with the balance – first, I absolutely talked to my supervisor about his expectations. Thankfully he was very supportive, but the way I approach this was with my priorities for research-related items. This list was not as extensive as when I was devoting 100% of my time to research, but still prioritized the key experiments that needed to be done to fulfill my postdoc obligations. In addition (if you are pursuing a research appointment), it is important to talk to your supervisor about what you can take with you and what support s/he will provide for you to generate your own preliminary data. For example, I had an undergrad working with me to generate preliminary data for my own work. Once I knew what I needed to get accomplished in lab, I then set out a schedule for myself. I would block off a hour or two a day to work on job applications and then schedule experiments in the remaining time. Unrelated, this is GREAT practice for an independent position. Time management and learning to juggle multiple tasks is critical. Lastly, I relied a lot on my labmates. When I had started a big experiment and then an on-campus interview got scheduled right in the middle of it – I asked around for who would be willing to move my experiment forward when I was gone. The response and willingness to help was incredible and without their support those experiments would have been lost. So, first talk to your advisor and have a plan for prioritizing experiments. While this helped me immensely, I still felt pretty unproductive. Which is not surprising given that the previous years of my postdoc were 100% devoted to labwork. My point in the post is to be kind to yourself. You need to sleep and take care of yourself, and if that means an experiment gets done a little later than you planned, that’s ok. I hope this helps answer your question a little bit. There is no “one size fits all” approach, and it will depend heavily on your supervisor’s requirements. Ultimately you getting a job benefits both the supervisor and you, so s/he is often more supportive than you would expect. Please let me know if I can be of any additional assistance and good luck with your job search! I’m so glad that this was interesting and some of the points resonated with your experience as well. A lot of it is painful, but community support can make all the difference in the world! It has been some time since we last spoke. I hope you are doing well! Feel free to drop me an email sometime and let me know what you are up to these days.